The Bookies were right. 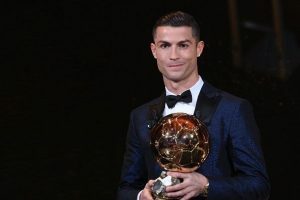 Portuguese star Cristiano Ronaldo won a record-equalling fifth Ballon d’Or award for the year’s best player on Thursday. Neymar will be hoping to take over the mantle of Ronaldo and Messi, 30, in the coming years after coming third for the second time, having finished fifth last year.